Favorite Credits: Producer and Host of "Art of the Drink TV" (http://www.aotd.tv), Founder and Artistic Director of Broadway Theatre Studio (http://www.broadwaytheatrestudio.com), Director of Beverage Studies at The Institute of Culinary Education (http://www.ice.edu), Managing Editor of Chilled Magazine (http://www.chilledmagazine.com), National Brand Ambassador for Drambuie Scotch Liqueur (http://www.drambuie.com). Why theater? : I started doing theater when I was 8 years old, and I've never stopped. I think it's the most powerful way to impact an audience, since you're right in the room with them and neither of you is ever completely sure what's going to happen next! Theater seems to tap into our most primal social instincts to look across the fire from each other and tell stories about what happened during the day. The magic of that immediacy and direct connection just can't be duplicated in any other medium. Tell us about The Imbible? : The Imbible follows in the footsteps of hit comedy-edutainment shows like Assume the Position with Mr. Wuhl and Colin Quinn’s Long Story Short. The show sweeps our audience along a 10,000-year journey through history and across the globe accompanied by craft cocktails and the vocal stylings of our very own a capella group, The Backwaiters. As our cast tells the story of mankind's rich and complex relationship with alcohol, we serve you craft cocktails so you can taste exactly what we're talking about! While you're enjoying the music and drinks, we'll regale you with stories about the history and science behind alcoholic beverages, trace their economic and political impact on our cultural development, conduct live demonstrations of brewing beer and distilling spirits on stage, and – like any good bar staff – keep you laughing throughout the night! What inspired you to create The Imbible? 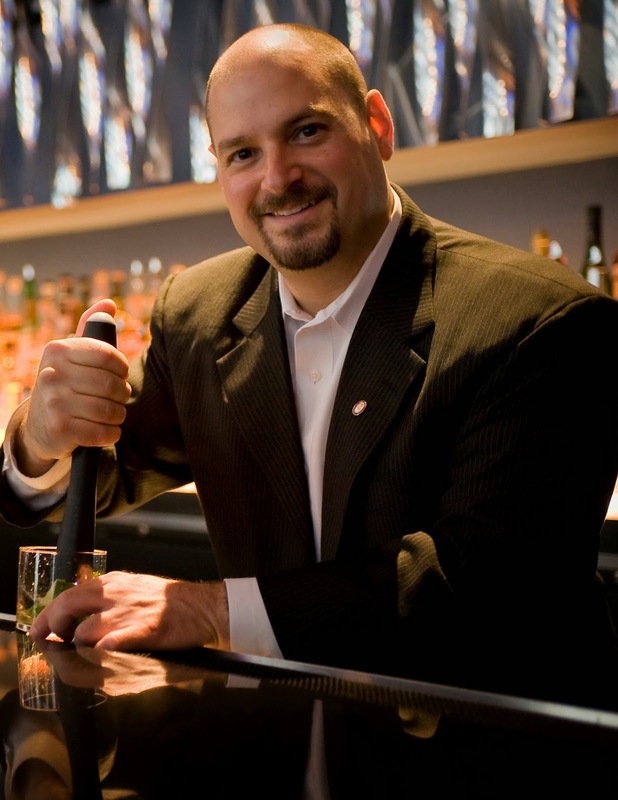 : For the last few years, I've been traveling the country giving talks on spirits and cocktails, and also teaching beverage studies at The Institute of Culinary Education right here in New York City. This subject has never enjoyed more popular interest than in the current feeding frenzy of food blogs, celebrity chefs, and craft cocktails. Today, it seems as though everyone is a foodie, and fine spirits appreciation is at an all-time high. A well-crafted cocktail menu that includes classic drinks like the Rusty Nail and the Old Fashioned is now required for even the most casual neighborhood pub. I've always wanted to combine the story of alcohol and spirits with traditional theater elements and present it as a scripted show with music on the New York stage. Thanks to FringeNYC, I've gotten the opportunity to do just that with The Imbible! What kind of theater speaks to you? What or who inspires you as an artist? : I love working on original shows, and both of the theatre companies I've founded focus on new play development. It's incredibly difficult for authors to get the words right as they come off the printer, so I love giving playwrights the chance to hear their lines spoken out loud by professional actors. This is a critical step in the creative process, and the collaborative workshopping that always follows these readings inevitably takes the script to an entirely new level. As a director, I get the most satisfaction shaping a piece from scratch and forming each element in a way that enhances the writer's vision. The feeling of watching a show being performed in front of an audience for the very first time ever is like watching a child being born. If you could work with anyone you’ve yet to work with, who would it be? : My dream would be to have gotten the chance to work with Joseph Papp. What he accomplished at The Public Theater continues to inspire me, and his work really paved the way for the era of Broadway that made me love this business. What show have you recommended to your friends? : I think the world would be a better place if everybody in it saw The Book of Mormon. Who would play you in a movie about yourself and what would it be called? : Clearly, it would be Tom Cruise, and I think the movie should be called "Cocktail". What’s your biggest guilty pleasure? : Pulp science fiction novels, and the older the better! What’s the most played song on your iTunes? : Right now, it alternates between Willie Nelson's "Maria' and Katy Perry's "Roar". Seriously. If you weren’t working in theater, you would be _____? : I'd be doing what I do with the rest of my life -- working in the beverage industry teaching people about the science and history of drinks! What’s up next? : My company, Broadway Theatre Studio, is also producing I Feed You (http://ifeedyou.org), a new play by our Associate Director Nicole DiMattei, at FringeNYC running August 8th through the 23rd. We'd love to take one or both of these productions to a longer run after the New York International Fringe Festival!